If your idea of a summer is an island rich with untouched nature and places which make you feel like you're the only person in the world – then Drvenik is your must destination. With its beautiful nature and neighboring pearls – Trogir , Šolta and Čiovo – this Central Dalmatian island guarantees relaxation you crave. Two grand summer houses, Tironi summer house and Morreti summer house, built by a rich and famous family of sea captains who used to be the owners of a part of Drvenik Island, prove Drvenik is a really good destination for summer pleasures. 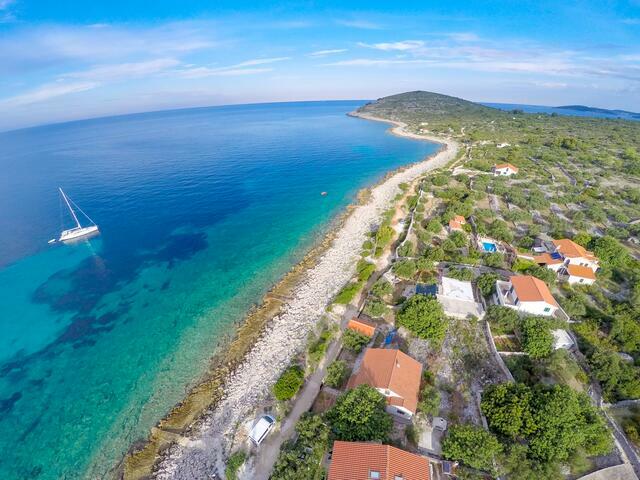 Get away from the everyday stress and follow the steps of old Croatian sea captains and landowners. The island's untouched nature and peacefulness are waiting for you. The island is dotted with little stone chapels you can reach by bike or by taking a walk along macadam pathways. These roads will also lead you to other historical localities such as the rural area of Rušinović village, situated southwest of St. Nikola church. Another church you shouldn't miss is St. Juraj church, famous for its baroque interior and altarpieces by Venetian painter Antonio Grapinelli. After this exploration tour, Drvenik Veliki – the only settlement on the island – will greet you with an idyllic atmosphere of a little island village. Typical Mediterranean vegetation, macchia and garigue, along with Aleppo pine and Holm oak forests perfectly adorn the green patchwork of olive orchards and vineyards. 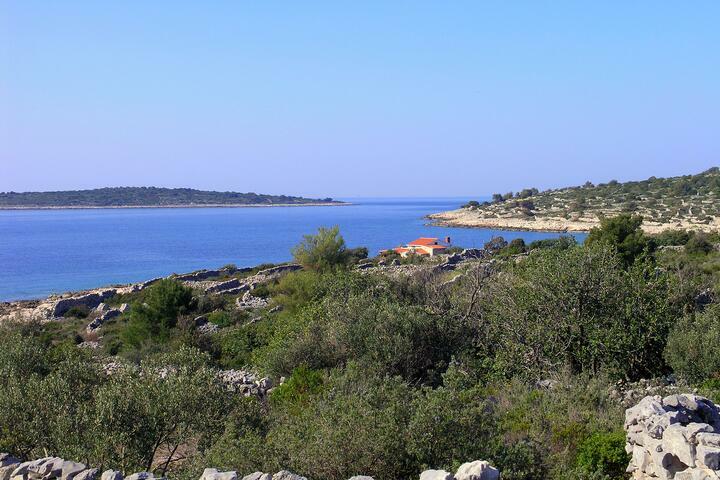 Besides cypresses, pine trees and authentic Mediterranean delicacies such as figs, carobs and various citrus, the karst environment of Drvenik Island will surround you with authentic Dalmatian scenery and atmosphere. 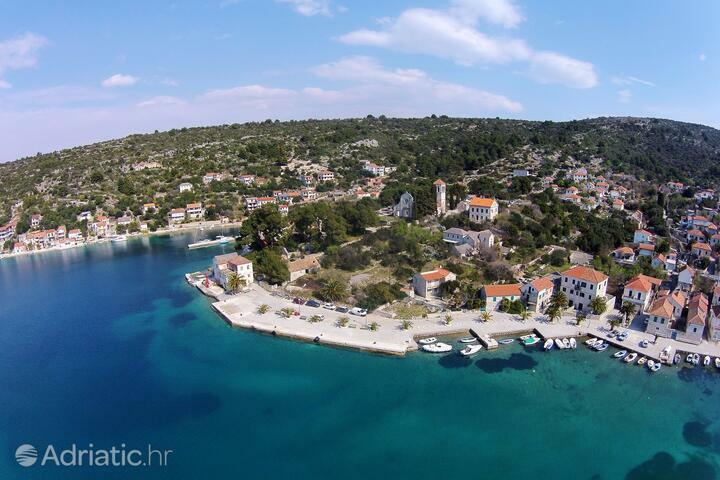 Having only one settlement and no urban centers or industrial areas, Drvenik Island with its crystal clear sea and coves Solinska, Drvenik, Mala luka and Grabule really guarantees you a ''Robinson Crusoe'' vacation with an amazing view of neighboring Čiovo, Šolta, Krknjaš Mali and Krknjaš Veli, whereas nearby islets Orud and Mačaknar promise you a great sea adventure.